Islam4UK Exposed as British Intelligence Front. A final decision on the use of the machines will be taken by a government commission. 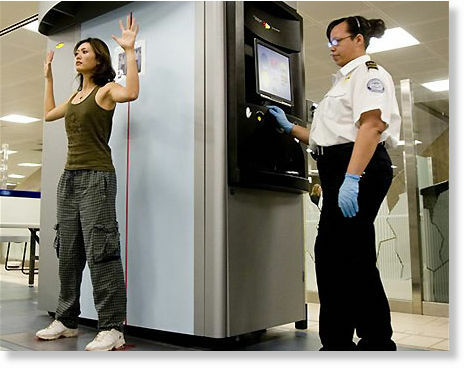 Passengers checked with body scanners are asked to pass through a regular metal detector and then walk into the scanner cabin, which is 10 feet (three meters) tall and six feet wide. They are asked to stand with raised hands while the machine locates objects on their body through low-frequency electromagnetic waves. Get ready people because they are at it again. Yes, those wild and crazy, zany Marx Brother’s typos posing as art students, without palettes, brushes or berets are back on the scene. We’re hearing from people in B.C. and maybe we’ll even hear from people in A.D. that… Israelis with vans and pickups are modifying their rides for the mini-monster truck, explosive competitions. They’re hot and heavy. They’re in a hurry. They got to get it online, on time and never mind, it’s coming to an urban area somewhere in the great gentile, murder land of the not so United States, Canada or wherever there are a lot of you useless breeders and eaters. So, what will the U.S. and international intelligence services do about this; zilch and less than zilch? They know which side their bread is buttered on because they helped these psychopaths steal their bread and butter and sell it back to them at twice the price which is still what they can get for you wholesale, somehow and… cheaper than stolen.